“I took the course last year and it was brilliant. I secured a publishing deal in November 2014 and my book will be out late this summer- 2015. If you are looking to write a non-fiction book this course will definitely help you.” Natalie, PR, author and blogger at Just Because I Love You. You can read Natalie’s experience of the course here on Britmums. 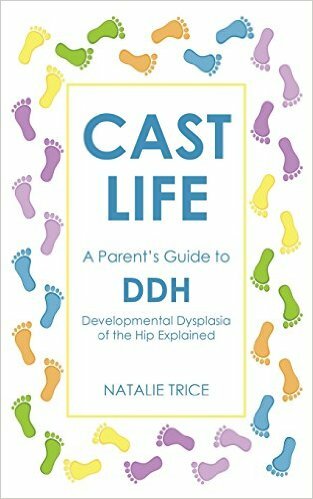 You can also see Natalie’s book on Amazon. “I am thoroughly delighted to endorse this course as I have already achieved 3 major goals:completing a writer’s biography, understanding how publishing in the UK works and researching my particular market, writing an overview of my self-help book and defining a framework in which to position the chapters. The course demands a certain discipline, and Glynis and Liat do a wonderful job of balancing the deadlines with support and understanding.” Heather, Psychologist and Coach. “I chose the course because it was run by two experienced journalists who had also published books. I am further towards my goal of having a much clearer structure for the book. The outcome for me was to have a draft proposal and sample chapter. I found the phone session very helpful in developing an outline for my book.” Rita, Trainer. “I thought the course offered value for money. I appreciated your flexibility when I was unwell half way through the course. I never felt under pressure but supported enough to feel it was worthwhile finishing the course and getting valuable feedback.” Julia, Psychologist and Trainer.